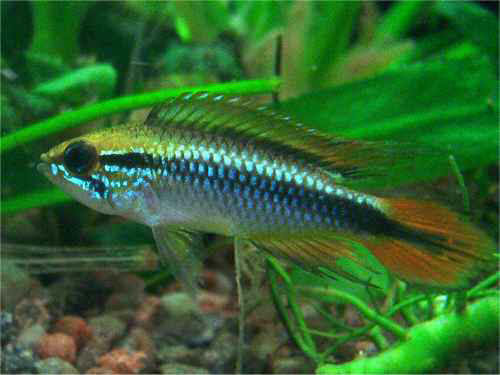 Tranquil and peaceable, Agassiz's dwarf cichlid demands regular water changes. The female cleans a solid support before laying up to 300 eggs. Size: 7 cm.